Coming up this week is a TJC Social Exclusive like never before! 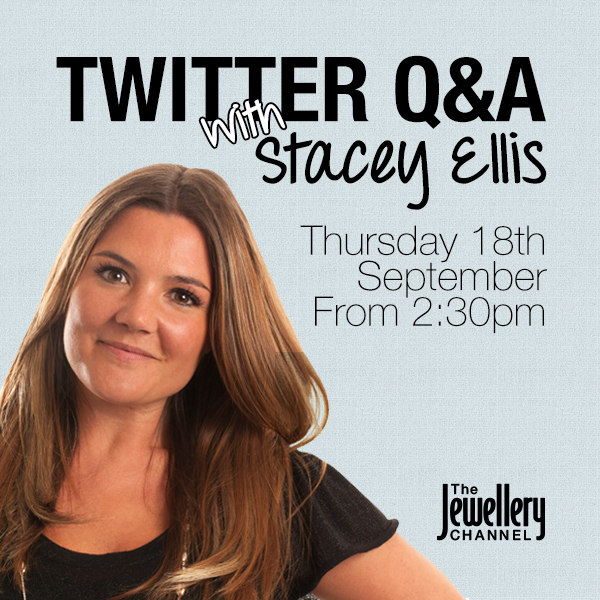 On Thursday 18th September, at 2.30pm, we’re going to be running a Twitter Q&A with none-other than TJC’s own Stacey Ellis – and YOU get to ask the questions! Ever wondered what her all time-favourite gemstone is? Or perhaps you’re after a little behind the scenes gossip? Tweet us your questions over the next two and we’ll pick our top ten to ask Stacey live at 2.30pm Thursday! Simply tweet us your questions @TJCSHOPPING with the hashtag #TJCSOCIAL or comment them on the feed below! Let’s see what you can conjure up!